Control Blood Sugar Levels: Diets incorporating different nuts and seeds such as these unsalted sunflower seeds are beneficial for balancing blood sugar levels. The nutrients found in sunflower seeds can prevent blood sugar spikes associated with diets high in sugars and refined grains. Lower Blood Pressure: Snacking on protein-rich, unsalted sunflower seeds may help lower your blood pressure. Recent research shows that a diet with ample amounts of vegetable protein, such as the protein found in sunflower seeds, may help keep blood pressure down. A diet high in animal protein offered no such benefit in the study. Antioxidants: Sunflower seeds are loaded with protective antioxidants that can defend your cells against free radicals. 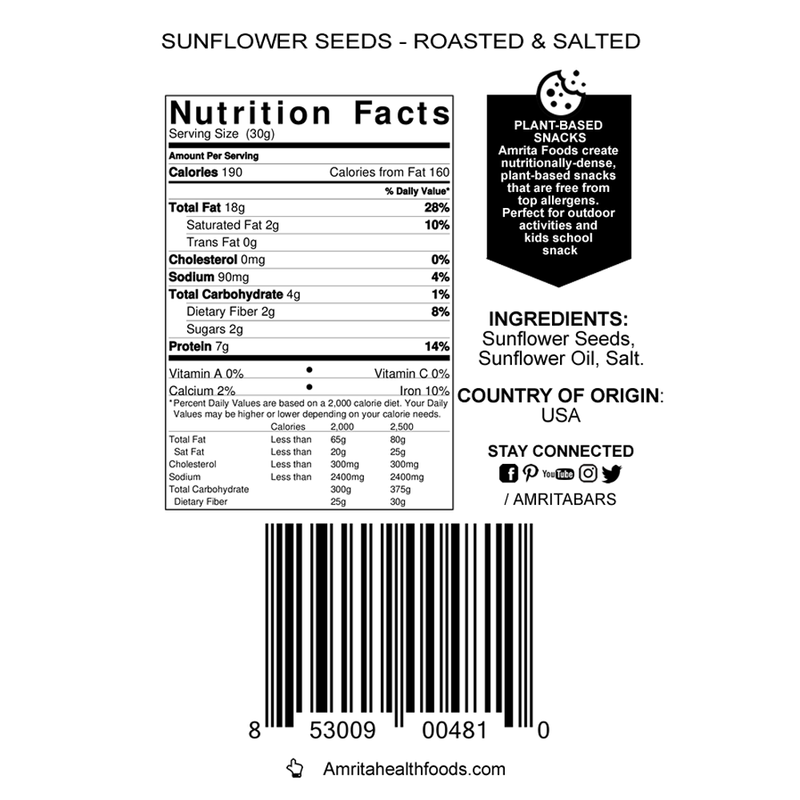 Like most nuts and seeds, sunflower seeds are packed with Vitamin E, a potent antioxidant that boosts the immune system and may protect against certain diseases.